In under a year, male model Andrej Pejic has skyrocketed to supermodel stardom, dominating runways and fashion editorials worldwide and after checking out these breathtaking Andrej Pejic shoots, you'll quickly understand why. 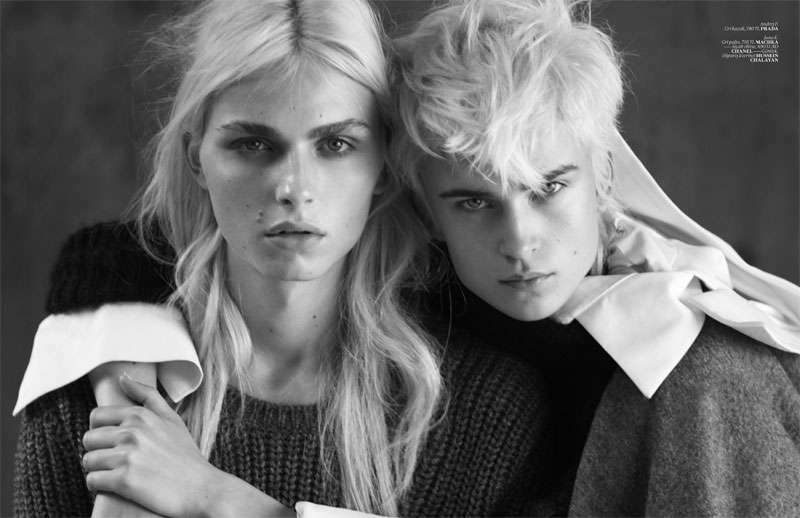 With androgynous beauty that has both men and women doing a double-take, it's no wonder Andrej was accidentally listed as #98 in FHM's 100 Sexiest Women of 2011. As a huge fan of the Australian model, I couldn't be more pleased with his success this year, as he takes over the runways for both men's and women's collections, showing off his versatility, talent, and universal appeal. If you're still a stranger to the gorgeous model that continues to have women swooning (either with admiration or envy), these incredible awe-inspiring Andrej Pejic shoots are the perfect place to start.